We are hosting a gorgeous Spring Meet Up in the Hope Valley in the Peak District for the very first time. 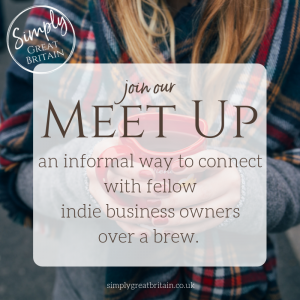 Spring is the perfect time for us to pay a visit to this beautiful spot we are celebrating by buying cake for any indie business owners who would like to join us and find out a little about what we do and connect with like minded business owners. Join us at the gorgeous Village Green Cafe in The Square at Eyam in the hope Valley. Directions. This is a very relaxed pop in session from 10am until 11 on Thursday the 21st March. Find out about what we do, enjoy a cuppa and join us, bring information about what you do. This event is free – just buy the brew of your choice. It will be fabulous to meet you. To register your interest, head over to our Facebook page & click ‘going’ if you can.